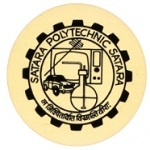 SPS Pharmacy Polytechnic College, Satara was established in the year 1983 under aegis of Satara education society. The college is approved by All India Council for Technical Education (AICTE), New Delhi and affiliated to University of Mumbai. It offered course in Diploma. The college is recognized by Directorate of Technical Education (DTE), Maharashtra State Board of Technical Education. The college is situated in the western Maharashtra. It is located on the National Highway (Pune-Bangalore) (NH-4) and 128 km away from Pune. Satara is a District place, well-connected by rail and road transport. The new campus is sprawled over 17.5 acres of land. It has all modern amenities in its campus. The Institution has well-maintained computer lab in college. It has state-of-art seminar hall, workshop, infrastructural facilities such as spacious buildings, laboratories, organized library facilities, students’ hostels for boys and girls, sports ground with all materials, etc. The college’s academic block is equipped with classrooms, tutorial rooms with all modern teaching aids and many other facilities. The college has established a Training & Placement (TPC) in its campus. The TPC has its motto as to strength the industry institution partnership for the benefits of students. The placement cell department arranges the industrial visits, guest faculty lectures from trade, marketing, management and industries Seminars, Workshops, on-campus Interviews and many other activities are performed by the cell.